Join your favorite engines in a fun searching adventure, with over fifty flaps to lift! Sir Topham Hatt is missing five cargo crates that came in a recent shipment, and only Thomas, Percy, and the really useful engines can help him find them! 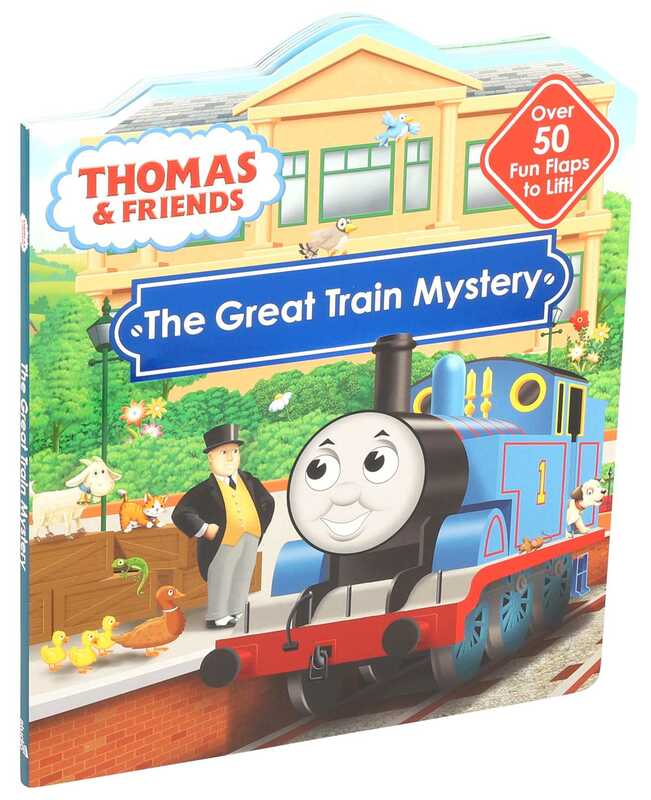 Join your favorite friends as they search Sodor for the missing crates. Learn as you read with over fifty flaps to lift and early learning concepts like colors, opposites, counting, and more. Nigel Chilvers was born and raised in Aintree, just outside Liverpool, UK. After completing an Art Foundation at Hugh Baird College, he went on to study Illustration at Wolverhampton University. He originally trained as a paper-based artist until switching over to digital work in 1997. Since then, he has worked for many years freelancing in licensing, working on many character-based books for Thomas the Tank Engine, Bob the Builder, Noddy, and much more. In his spare time, if he's not training for triathlons, he can be found climbing the fells of the Lake District or the North Welsh mountains.